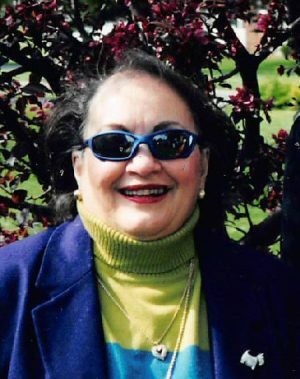 FULTON, NY – Mary Louise LeVea Penkala, 87, of Fulton, passed away peacefully Monday evening April 1, 2019, at St. Joseph’s Hospital, Syracuse, with her family by her side. She was born in Fulton to John Napoleon LeVea and Kathryn Delphine Hanley LeVea and was a life resident of Fulton. Mary was a graduate of Fulton High School in 1949 and was employed as a secretary at Dilts Manufacturing, Sealright and retired in 1991 from General Electric Company in Liverpool as a legal secretary. Mary was a communicant of Holy Trinity Catholic Church and the former Holy Family Catholic Church in Fulton. She was a talented artist and a fabulous cook. Mary enjoyed reading romance novels, sewing, knitting, needlework and traveling. Mary is survived by her daughter, Marikay (Dean) Flemming of Fulton; her sons, Michael Penkala and Thad Penkala both of Texas; her sisters, Anne Grassi and Kathryn Younis both of Fulton; her brother, William LeVea of Fulton; seven grandchildren; six great-grandchildren and many nieces and nephews. In addition to her parents, she was predeceased by her husband, Thaddeus Walter Penkala, in the blizzard of 1966; and by her brothers, John and Robert LeVea. A Mass of Christian Burial will be celebrated at noon on Saturday, April 6, in Holy Trinity Catholic Church, 309 Buffalo St., Fulton. Calling hours will be held from 9:30 to 11:30 a.m. Saturday with a prayer service to follow at Brown Funeral Home, 21 Flood Drive in Fulton. In lieu of flowers, contributions may be made to the Fountain of Life Christian Center, 13 Oswego St., Hannibal, NY 13074 or Holy Trinity Catholic Church, 309 Buffalo St., Fulton, NY 13069 in memory of Mary. Sorry I am unable to make a visit. Mary was one of my dearest friends . I am very sorry for your loss of such an interesting and good woman.Mary was a great landlady and friend. RIP Mary. Thoughts are with your family.